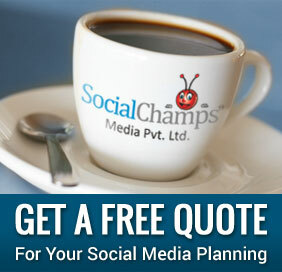 Now-a-day, social media plays a crucial role in promoting a brand or spreading any criticism. Gone is the age when people used to get influenced by newspaper ads. Today’s smart generation looks upon internet reviews, feedbacks and overall brands presence in the social market before putting their money into buying or selling something. Here is when an ‘influencer’ comes into picture. Influencers are brand advocates and promoters. They are people who are active on social media and blogs and have an audience to influence. These influencers can easily expose your brand to their followers and drive leads and customers. Why a brand needs influencers? If we think about it in a personal context, we usually trust a feedback of a third person from someone else or a mutual friend rather than from the person himself/herself. This someone else/ mutual friend is the influencer who promotes and connects your brand with the target audience. When you connect with an ‘Influencer’, not only their loyal audience comes to you but also brings their associated network audience to you. So an ‘Influencer’ has a huge impact on your website traffic, social media exposure and over and above your sales. With digitization and fall of traditional methods of marketing, ‘Influencer Marketing’ is becoming the most effective ways to attract consumers to your brand. Influencers generate content for your brand and involve themselves into conversations related to your brand. Thus, involving them in your marketing strategy can make a huge difference in the success of your brand. Samples to bloggers: Send across free samples of your products to your bloggers. These bloggers can then talk about your product to their audience/followers. Remember a blog post has more longevity than a FB post or a tweet. Treat them as your ‘brand ambassadors’: Instead of thinking them as PR representatives, it’s better to first influence and connect them with your brands quality and originality. Talk to them as a person you look upon, to spread positive vibes about your brand in social media channels. Be genuine while conversing and engaging with them. Share articles which could be of interest to them, comment on their articles etc. Segment your ‘Influencer’: Sometimes, it’s better to reach several “lower tier” influencers who can promote your brand in a powerful way than banking upon a celebrity status. For example, if you are launching a fitness product or an app related to fitness, it’s better to connect with various fitness bloggers in the social media market than spending on a celebrity commercial. Build their professional networking: Introduce your influencers to other industry insiders, connect them to your people, engage them with your brand, send them relevant resources, brainstorm with them, tag them in a post, mention them in your tweets. This will not only send positive vibes to your influencers but will make them your advocates. Remember, it is easy to enjoy with friends than to defend against enemies.